Russian Warplanes Strike ISIS Hideouts In Deir Ezzor Following Deadly Attack On Syrian Army Troops 5 out of 5 based on 9 ratings. 9 user reviews. In the late hours of April 12, warplanes of the Russian Aerospace Forces carried out several airstrikes on ISIS hideouts around the town of Huribishah in western Deir Ezzor, according to the Step News Agency. The airstrikes were likely a response to a recent attack by the terrorist group’s cells on positions of the pro-government National Defense Forces (NDF). The local outlet Euphrates Post said that four NDF fighters were killed in the attack. Last month, the NDF launched a combing operation around Huribishah and the town of Kobajjep. Both towns are located on an important highway linking the city center of Deir Ezzor with the historical city of Palmyra in the eastern Homs countryside. Despite the operation success, ISIS cells continue to carry out attacks around the two towns. Local observers believe that these attacks are being launched from the last terrorist group stronghold in Syria, the Homs desert. The vast desert, which lays between western Deir Ezzor and eastern Homs, is sheltering hundreds of ISIS fighters. A recent report even suggested that the terrorist group’s leader, Abu Bakr Al-Baghdadi, may be hiding there. The Syrian Arab Army (SAA) and its allies have not moved to clear the desert yet, likely due to increasing tension around the governorate of Idlib in northern Syria. still nothing on the F-35 that became a submarine in the Japan sea on 9th April. and I assume also the pilot become fish food as well. yes and they do this how? something none understand is that both the russians and the chinese what they waiting for is the americans and allies to make the first move which it be their last. As for why the F35 went down is only that is a piece of junk and not because the russians was using EW, against it. Satire is almost a lost art. Keep it up! k missed that and I guess I went into automatic pilot is been a very long 2 days behind the computers doing serious work. Japs don’t seem too concerned over the pilot; maybe he defected to China or Russia. Military planes don’t just disappear, they have tracking systems installed. 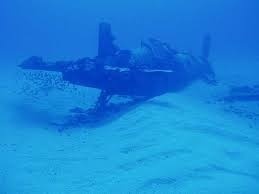 Hard to track if it is 1500 meters deep, reported that some wreckage was recovered on the surface. Military aircraft especially fighter/bomber planes are meticulously monitored and their coordinates are mapped. Japs know where the plane is/was before it disappeared and the debris found could be BS or anything. The pilot is the issue. Reuters reported that the F35 has been flying for 20 years and only 2 crashes? The Americans have lost their mojo, they can’t even make a phone let alone a reliable plane. it appears to me that all the noise from both sides that they win the war in syria is over rated and to my opinion the real war has yet to begin. Well the SAA are keeping a low profile and have been since Ghouta. Also Iran. These two are steadfast allies, Russia’s value in resolving this problem, appears to have come to an end along with the Old Turk. So, where to from here??? Golan has to be a serious objective but can they afford to leave a 30 to 35 thousand zionist controlled army in its rear???? I thought that was accurate, and I keep it in mind. Just the US/UK Governments demonstrating they are the biggest cxnts in the world. I find it staggering that the SAA are not doing a single thing about the situation here!!! Daesh will only get stronger and very soon they will start taking back territory again. And the SAA seems to be completely powerless to do anything about it! Big deal… The US is done with supporting ISIS. Last year when ISIS was crucial to the US main in Eastern parts of Deir Ezzor, Russia was no where to be found when the SAA conducted their attacks and became martyrs. ISIS is being replaced with the SDF. When Russia begins attacking their positions then I will applaud them. I can’t help but see it too, but I hate it. What a waste of people. I keep whining over it, excuse me. “The US is done with supporting ISIS” only east of the Euphrates. Yes, it looks like SAA is always sleeping. It’s a big desert full of hidden caves, perfect for ambush. But the ISIS vehicles can be spotted, not so much the motorcycles. I do not understand why Syria and Russia have not devoted the resources to clearing this area by now, since the other fronts are pretty much static. I don’t presume to understand anything. Just looking at the devastation of Syria makes me want too cry. The situation in Syria is improving, after so many years of conflict supported by other countries to wreck Syria. Along with Libya and others. They have to be getting supplies, just track the American helicopters and you will know the location of ISIS. you just answear the question I have been asking myself. Regarding from where do they can get supplies in the middle of nowhere. Surely they would have run out.